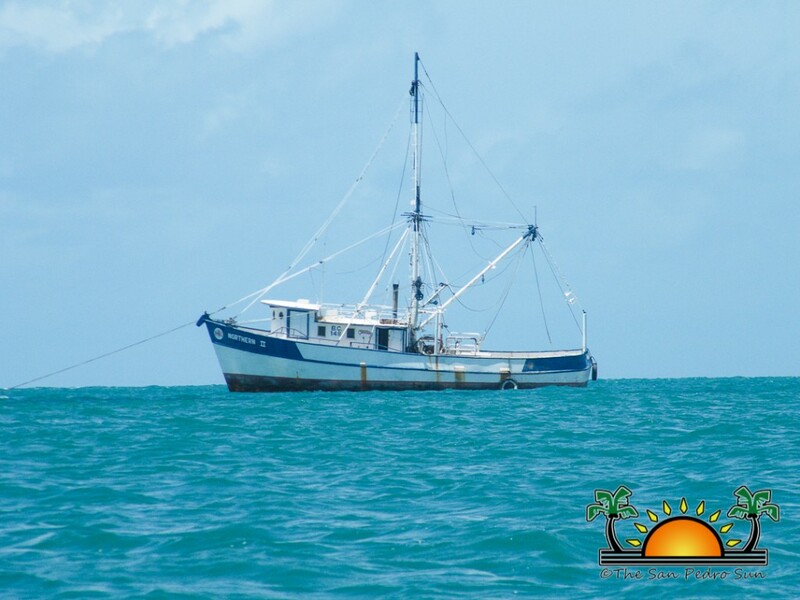 Oceana in Belize finalized the sale of the last of two trawlers they had acquired when trawling was banned in Belize in December of 2010. 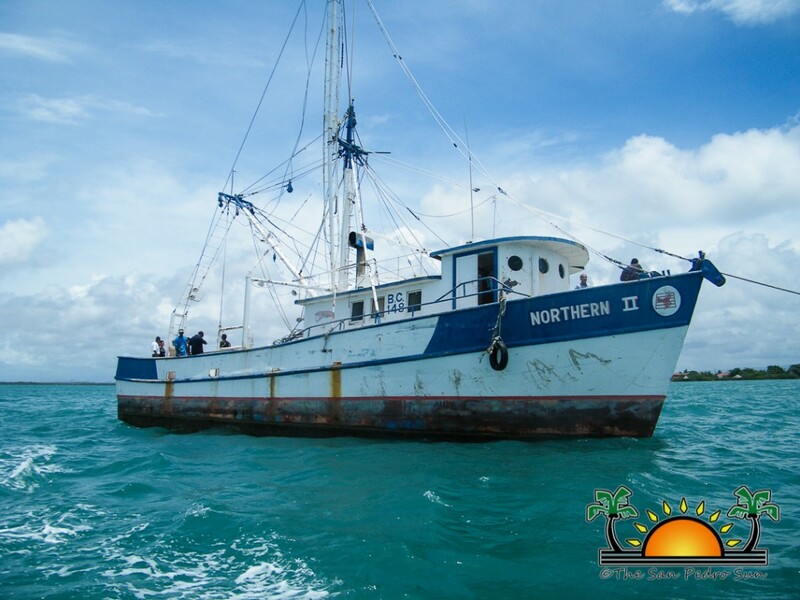 Since purchasing the Northern II in April of 2011 from the Belize Northern Fisheries Cooperative, Oceana in Belize has been accepting proposals for the creative use of the vessel that was once one of only two trawlers in Belize. 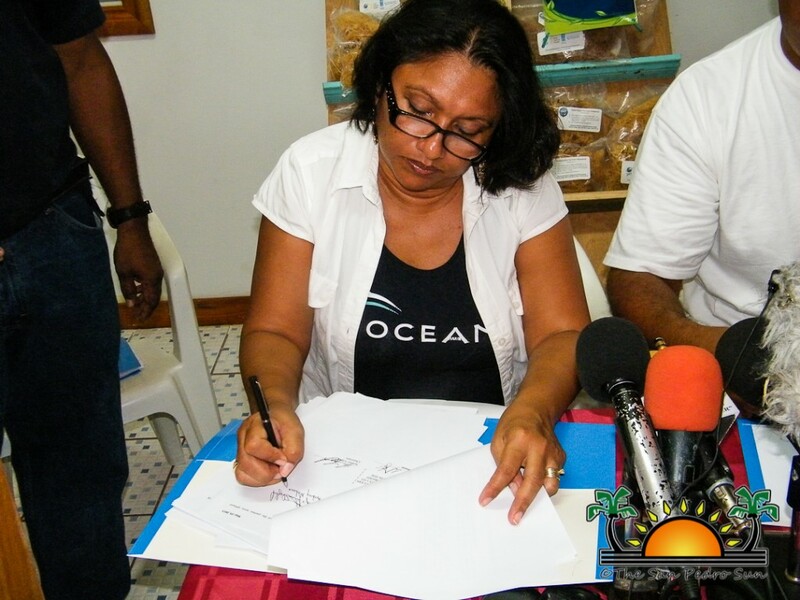 One of those proposals came from the Placencia Producers Cooperative Society Limited (PPCSL) and on Saturday May 25th, Oceana Vice President in Belize Audrey Matura-Shepherd finalized the sale and handed over the vessel for $1. 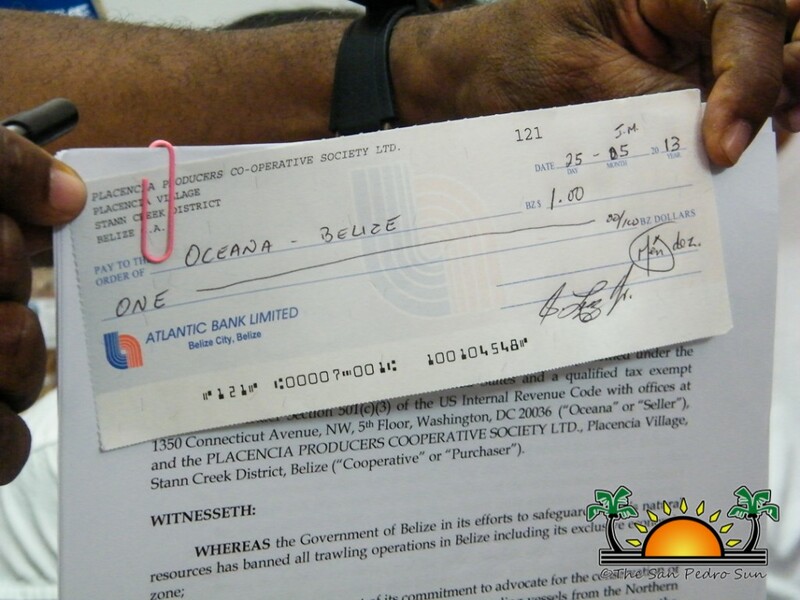 In 2011, Oceana acquired the Northern II at a cost of $650,000 and gave an additional $150,000 towards a loan and grant agreement as compensation for giving up the trawling industry. Since the acquisition of Northern II, Oceana accepted creative proposals for the use of the trawlers, the only condition being that it couldn’t be used for trawling anywhere in the world. 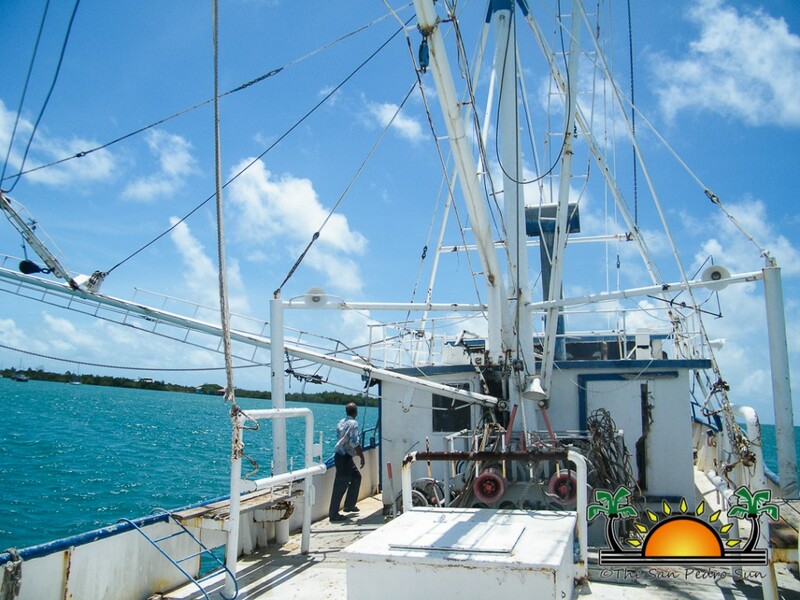 At about the same time, the PPCSL came up with a plan to move into a more sustainable use of the sea products other than fishing for lobster and conch. 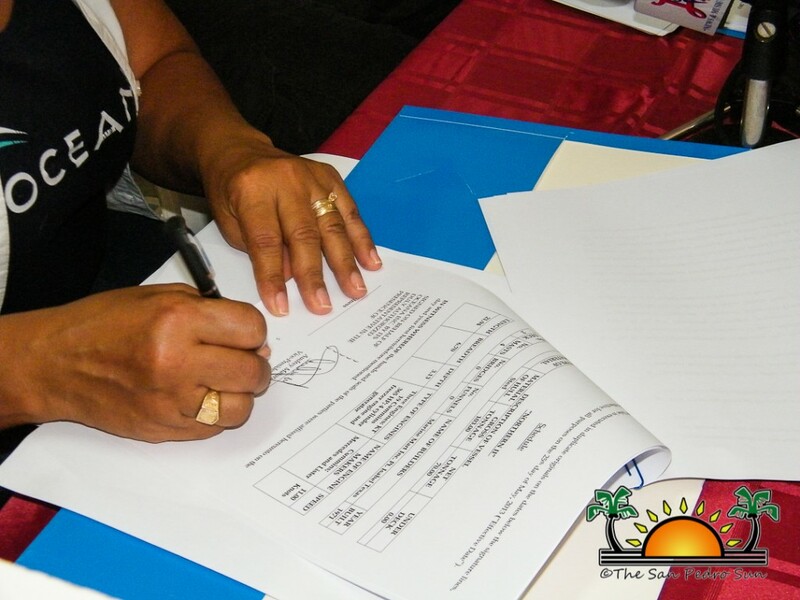 With the help of international funding, a pilot program to diversify began a program that saw the fishermen move into the planting and harvesting of seaweed to supply the local market. With Phase Two ahead, the cooperative is looking at the export market and will be forced to increase farming. One of challenges encountered during the pilot phase is human poaching of the seaweed farms, thus requiring patrol and monitoring of the farms. 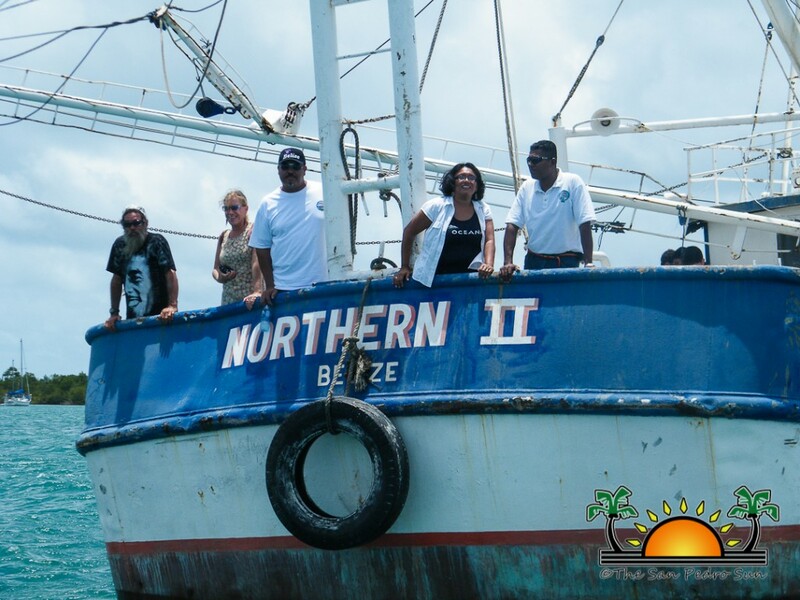 After months of negotiation, Oceana in Belize finalized the transfer of Northern II that will assist the fishermen of Placencia in addressing the poaching issue as they move into their second phase. 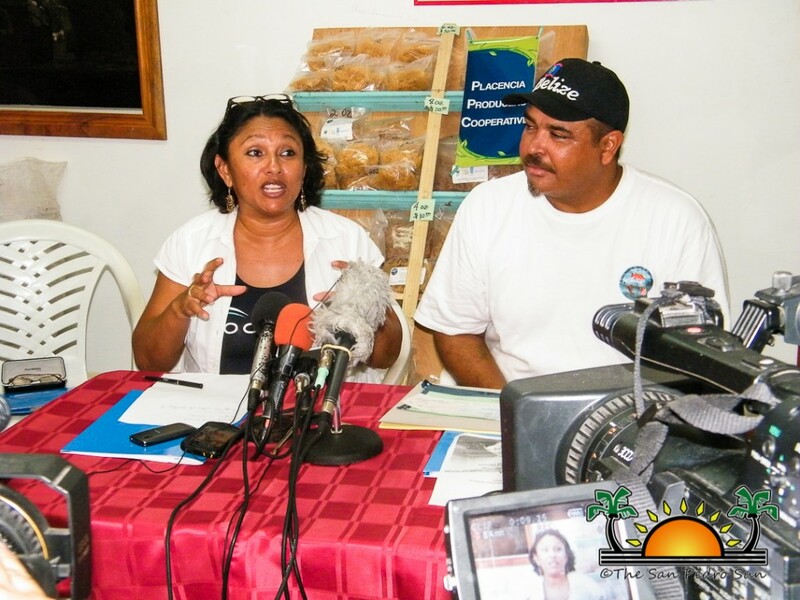 Speaking at the event on May 25th Matura-Shepherd explained why Oceana decided to sell the Northern II for $1 to assist the fishermen of Placencia. “One of things we find is that people like to think about environmental protection and development as always taking away from people. 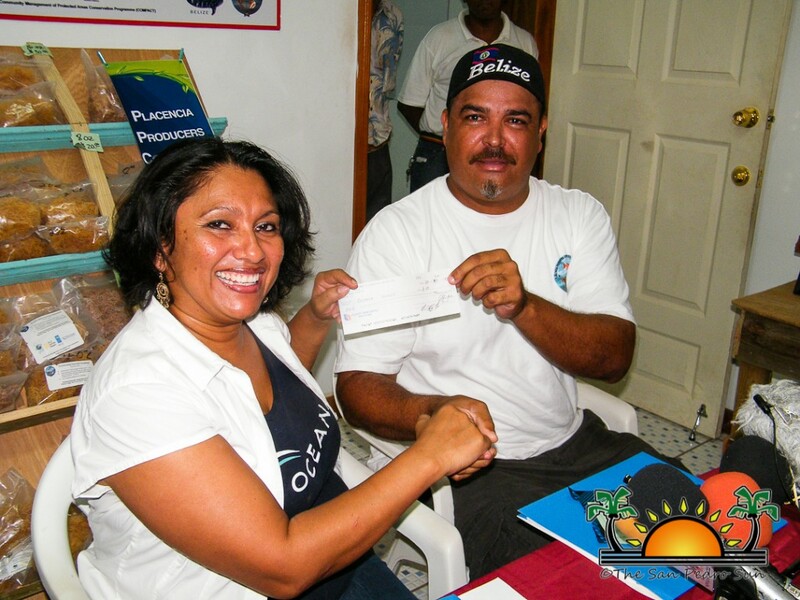 It’s simply because of the way Belize has developed. We started from a concept where we kept thinking that we can just reap and take and not realize that it will not be there forever. So when we saw this very innovative project that will not only take out from the sea but will also put back what they take out, and keepinga certain level of equilibrium, it had to be something we support. For over a year now we have been trying to find a home for Northern II and trust me, we got a lot of proposals for a lot of projects. For Oceana, two key elements had to be satisfied; one of them had to be that the trawler must go towards a sustainable use. The second element is that the entity had to have some kind of financial stability,” explained Matura- Shepherd in handing over the documents to the vessel. According to Matura-Shepherd, after doing their due diligence, PPCSL showed enough evidence that their books were balanced and in order. 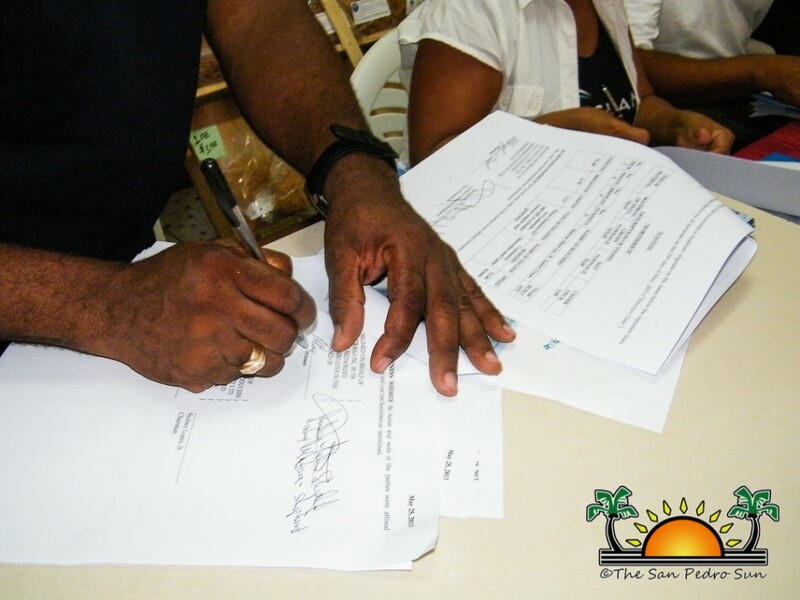 On hand to receive the documents in exchange for a check in the amount of $1 was the PPCSL Chairman Sydney Lopez Jr. “We are now moving into the second phase - our expansion project. 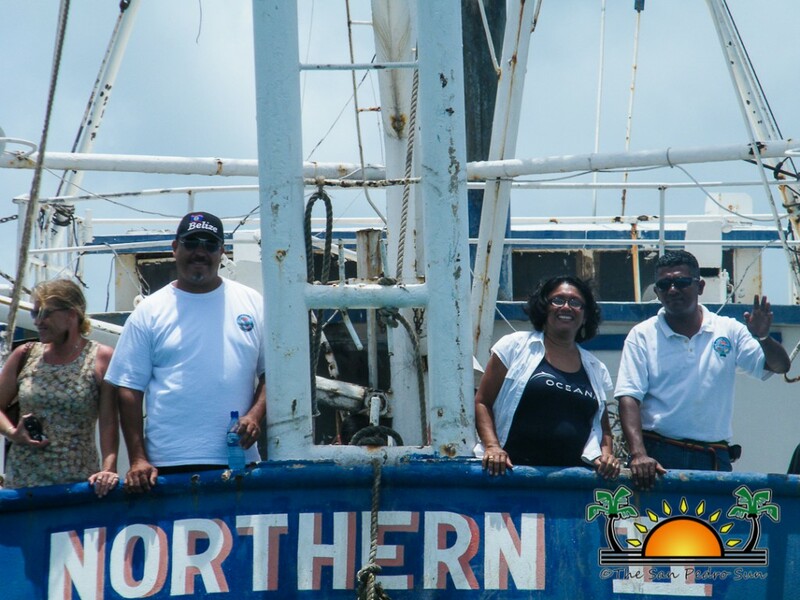 We saw the need for fishermen/farmers to be on site and that is where we came up with the idea to ask Oceana to assist us with the shrimp trawler that they had for us to use and have moored onsite. During the pilot phase we saw that our seaweed was stolen and so this will allow for our fishermen/farmers to have a 24-hour presence and place from where patrols can conduct their monitoring. 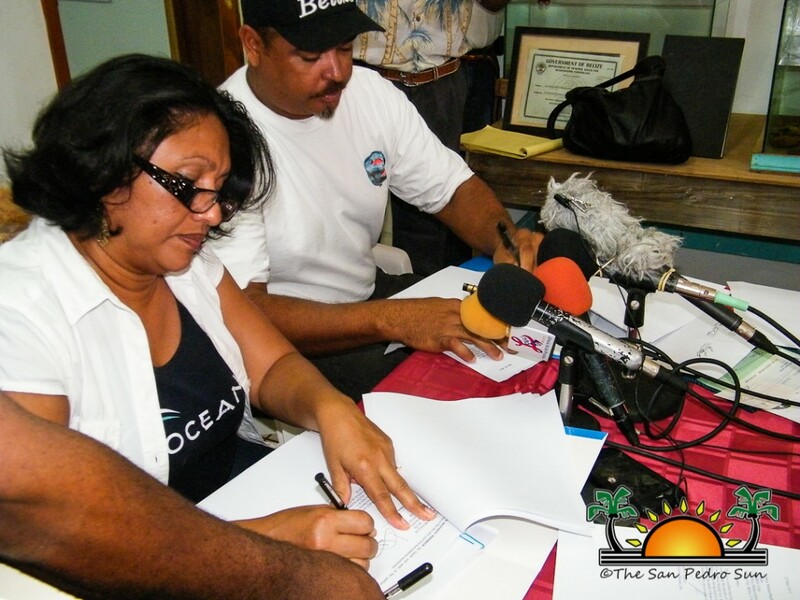 We approached Oceana in Belize with our proposal and they have generously agreed to do something to help, and here we are at this historic moment,” said Lopez, during the short ceremony which was attended mainly by the country’s press. PPCSL is currently producing 200 pounds of dry seaweed from its 20 sea farmsper month. Each farm has the capability of producing 50 pounds of dry seaweed per month following the first crop (which takes three months after planting).Each pound of dry seaweed on the local market sells for $30, almost three times more than lobster and conch. Currently the project has the participation of 15 members of PPCSL but with the expansion, all members - over 100 - can be a part of the business venture which is looking to tap into the Asian market where the price of seaweed is far higher than in Belize. Following the handing over of the documents, the media was invited to go onboard the Northern II which is now the property of PPCSL. 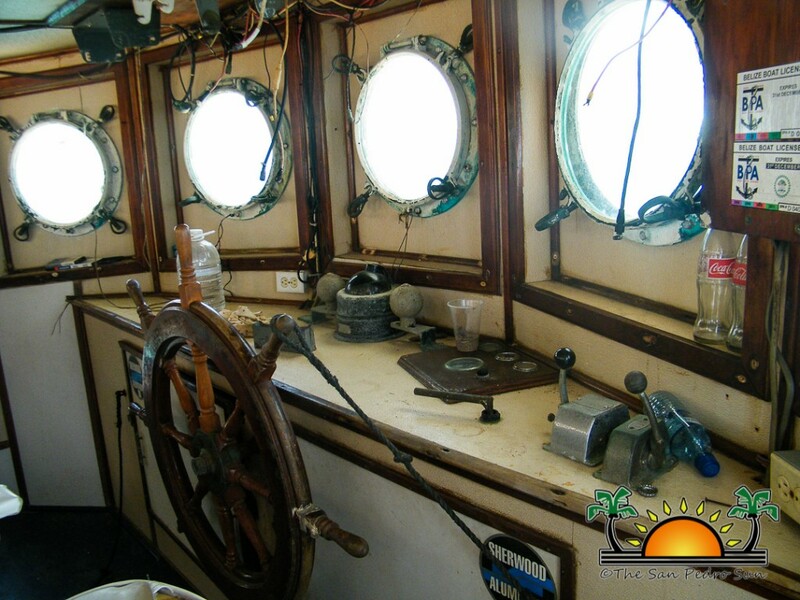 PPCSL will do minor repairs to the vessel before taking the vessel near Hatchet and Little Cayes where their seaweed farms are located.